Experience the entire Civil War through the eyes of the soldiers-North and South. Fast paced, this very human story reads like you're watching a movie. "During wartime, soldiers never know the whole picture. 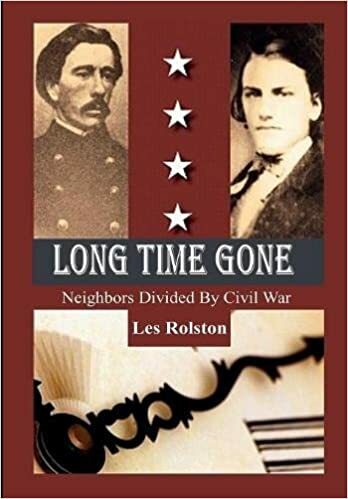 Tracing the surprising parallel lives of childhood friends and kinsmen, Elisha Hunt Rhodes of the 2nd R. I. Regiment and James Rhodes Sheldon of the 50th Georgia Regiment, amidst the background of the Civil War from beginning to end, Les Rolston has shed new light from primary and secondary sources and added a poignant human touch to history." Robert Hunt Rhodes-editor of ALL FOR THE UNION: THE CIVIL WAR DIARY AND LETTERS OF ELISHA HUNT RHODES as featured in the PBS-TV series THE CIVIL WAR by Ken Burns.